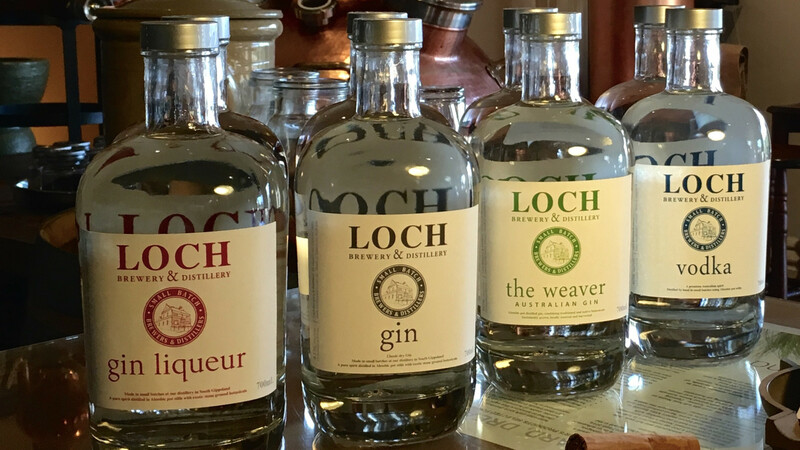 January 2016—Loch Brewery & Distillery is excited to announce that their classic Loch Gin has been handpicked for the menu of one of the world’s most acclaimed and influential restaurants. Chef René Redzepi opened Noma in Copenhagen in 2010. Fearlessly innovative and obsessive in its search and celebration of unique local ingredients, Noma has been ranked ‘The Best Restaurant in the World’ by Restaurant magazine for four out of the past six years. Now, over ten weeks from January to March 2016, Redzepi is bringing Noma to Sydney for an exclusive gastronomic event. The Noma team spent six months scouring all corners of Australia to source the finest native produce and locally produced beers, wines and spirits. Loch Brewery & Distillery is one of a handful of producers to make the selective cut. Crafted by the passionate duo, Craig Johnson and Mel Davies, Loch Brewery & Distillery’s ‘classic dry’ gin is made in small batch runs at their solar powered distillery in Loch, South Gippsland. Distilled in hand beaten Alembic copper pot stills, a careful selection of stone ground botanicals gives their gin its uniquely fragrant and expressive character. Now, Loch Gin will feature on the menu of the two Michelin star restaurant for the duration of its Australian residence—tickets to which sold out in an astounding 90 seconds.